"What Things Seem" and "When the Cactus is in Bloom" featured Danny Barnes on banjo. This show was part of the "Mike Gordon - Winter 2010 Tour"
This was my come back show, after not seeing the band (or any members solo), since 1998. It was great to see Mike in small venue again, it reminded me of being at the Front in Burlington in the early days. I went and purchased the Green Sparrow CD prior to the show, which I really like. I think Mike's solo albums, and shows have improved steadily with time. The version of Andelman's Yard was great, along with Voices, and Jaded. I liked that they gave Scott a chance to play an old Max Creek tune. Willow Tree was always one of my favorites at Creek shows, and it sounded even better with Mike on bass. It was also really nice to hear Sugar Shack, which I've never heard Phish play live to this day. Toad's Place is truly a classic music venue, it opened in 1976. I've been going there since my high school days, and have always liked the place. I really hope Mike plays there again in the future, or maybe even Page and the Metermen, who I've never seen live. I saw this show before seeing the actual band, and had the fortunate opportunity to meet Mike Gordon before the show. Toad's is a pretty small place (and is also in my hometown). I had been there plenty of times prior. Mike was checking out the opening act to the left of the stage near the merchandise table. My buddies and I simply just walked up to him and said what's up and that we were really happy he came to New Haven. He seemed like a really mellow and friendly dude. The "Swamp Music" encore was nice, Mike's been known to play that one before I believe. Right before breaking out into it Mike told the crowd: "So this is a song that Lynyrd Skynyrd" stole from Phish". 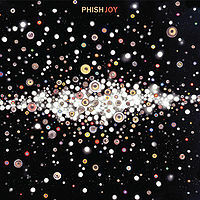 This, of course, was because of the tune's uncanny similarity to Phish's own "Possum".